Virtual Studio Set, creator of royalty free virtual sets and broadcast animations, is giving away a drone to one lucky winner. 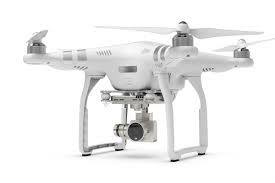 The company is giving away one DJI Phantom 3 Quadcopter with an integrated 2.7K camera and gimbal stabilization. Plus, an additional five winners will receive a copy of the company’s Virtual Studio Volume 1 HD Bundle Pack. For more details, complete rules and to enter, visit this site.